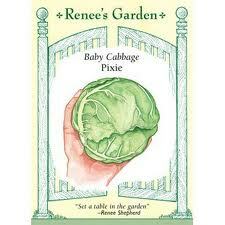 Warning: This is not one plant, but a group of plants that grace the table and are grown by your own hand. Now is the time to order and set up a seed planting schedule for those favorite food plants of the summer: veggies! Seed catalogs are my favorite late January and through March reading material. You have to drool while reading this description of Black Cherry tomato: “sweet yet rich and complex… irresistibly delicious” (Tomato Growers Supply Company, Baker Creek Heirloom Seeds) and you have to find a place for the precious Pixie cabbage: “early maturing baby variety … dense 5-6” heads with excellent sweet flavor” (Renee’s Seeds)? 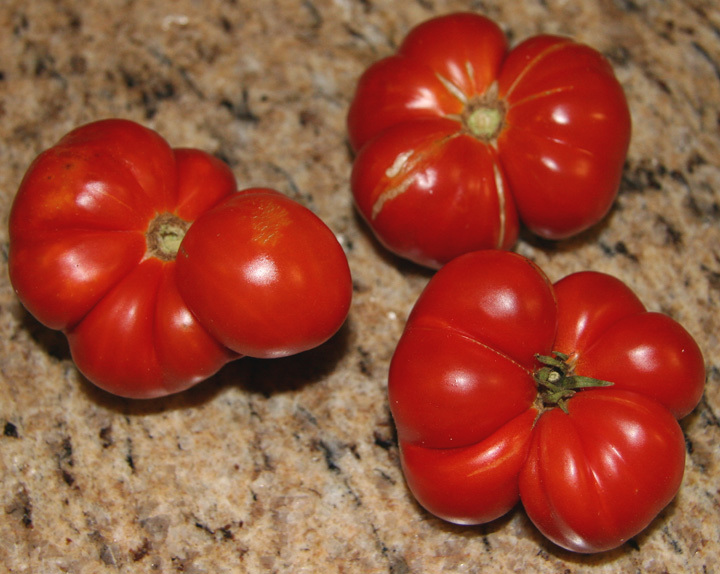 The Traveler’s tomato which is sectioned so it can be eaten a piece at a time, must be planted because it is so strange. The list goes on and on. If you are new to the world of seeds, start small. Pick one or two varieties of your two to three favorite vegetables. Order from a catalog or purchase from your local garden centers – seeds are arriving at your favorite garden center daily! Read the packet, take a deep breath and just do it. Those who are old hands at seed starting know the selection of seeds, heirloom and hybrid, just keeps getting better and better. This year, we are only planting out four varieties of pole beans, four of beets, five of chilies, two of cucs, one of eggplant, nine of greens, two of leeks, two of peas, two of spinach, twelve of tomatoes and one zucchini. Marigolds, in with the vegetable garden to keep the bad bugs away, and throughout the yard. Whatever flowers carch my eye – I always do marigolds, but I also like to try something new . Have to have Swiss chard and snow peas. Transplanted asparagus from a friend’s garden and stalks are already showing. Planted garlic in the fall …. Doing well! With the mild winter, I have left over green onions, rosemary and other tender perennials!